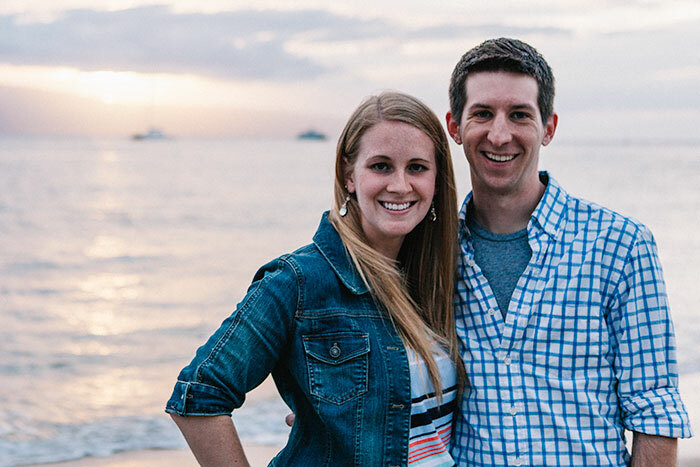 My name is Steve Razinski and that’s me to the right with my wife Amanda. I want to welcome you to Wealthy Affiliate. You're here now, for free, inside the most powerful training platform in the world. You have access to all of the tools, training, and support you will need to build a passive income online, and so far, it cost you nothing. Over the next few days, I will be your guide and will show you a tried and true method on how to build a passive income online. Keep an eye out for my emails and open them as they come in. They will offer you step-by-step training on how to get up and running. Today, I want to give you an overview of how I make my money online. Then, I’ll show you a few examples of ways that I personally have made money. Finally, I will tell you how you can follow in my footsteps and start building a business that will earn you a passive income. Best of all, it won’t cost you anything to get started. Step 1. Identify a topic to cover. For this example, I am going to show you how one article I wrote in 2011 has earned me over $200/month. The article covered a wake up light. If you’re unfamiliar with wake up lights, they are alarm clocks that slowly get brighter to help your body adjust to the morning. I impulse bought one a few years ago as they were just gaining popularity. I noticed people were searching for information about them online and decided to write and publish an article on my website covering my experiences with them. It’s a fairly simple blog post where I talked about the benefits of using one, how it was helping me wake up better each morning, and where you (the reader) could go to buy one. The next thing that happened is Google picked up my review (they find your articles automatically), and gave me the #1 position in the search results for the wake up light. As you can see, my website appears at the very top of the search results for this light. I even managed to beat out Amazon in the rankings. At the bottom of that article was a call to action, basically saying click here to view the product at Amazon. Now, every time someone clicks on one of those orange links, Amazon credits me with the recommendation, and I receive a commission for ANYTHING bought at Amazon over the course of the next day. Below is just a screenshot of one month of orders on just the wake up light alone. I highlighted the last column because that is how much I was paid per order. And this doesn't even include other products that may have been purchased at Amazon that I got credit for! Above is what a typical month of orders looks like for me. Now remember, this is an article I wrote SIX years ago. All I did was write the article and link to Amazon. Google picked up the article, included it in their search results and now I have a stream of passive revenue that earns me a decent chunk of change each month. Now that you have an idea of the process involved, I wanted to show you what my most lucrative 24 hour period has looked like. I had published a review of an online training program back in 2014 and Google picked up the review and put it in the #1 spot for the program’s name. My review has held that number one spot for 3 years now. You read that right. 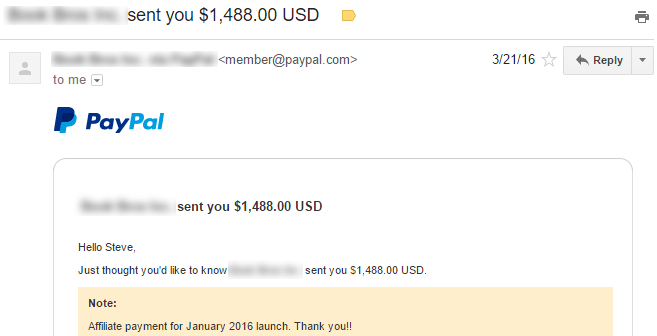 These $10k+ in commissions came from an article that I published in 2014. This is passive income at its finest. What’s important to note is this is just ONE blog post and it was published BACK IN 2014. I have made minor modifications since it was first published, but for the most part, those earnings are the result of a couple hours of work over 3 years ago. The example above has the potential to bring in $100,000+ over the next few years. Seriously. This is the stuff of dreams. I put in a few hours of work a couple of years ago and the dividends are paying out beyond my wildest dreams. 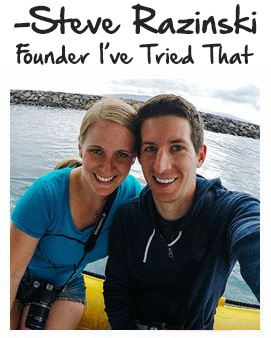 I founded I’ve Tried That in 2007 and have been actively building it for the past 10 years. As of May 2017, I have published 1,832 articles to my site. Every article I publish is another potential form of YEARS of passive income. 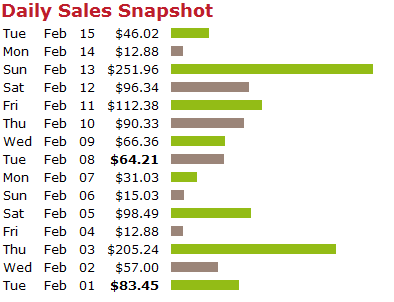 Above is just a screenshot of sales that came in over a 24 hour period. The program I reviewed was accepting members for 2 weeks before they closed their doors. In that time, I sold $13,992.50 in total. That's about 5 months of work for most people and I made all of that without having to lift a finger. This is what building a passive income is all about. What I outlined above is called affiliate marketing. In short, you will be setting up websites (relax, these days it’s as easy as filling out a form and clicking a button), writing articles, and sending the visitors you attract to advertisers websites. Every article you write and publish can get picked up by Google and remain in the search results for years, if not indefinitely, leading you to a truly passive income. I mentioned above that when I started building my business, I had absolutely zero guidance. Lucky for you, I spent years figuring this out. My experiences are yours to gain. I have reviewed about a thousand different work at home opportunities for my website over the past 10 years. I can count on one hand the number of products that are actually helpful. At the top of that list, is Wealthy Affiliate, the affiliate marketing training platform you're on now and it has been my #1 recommendation since I became a member back in 2009. It holds the top spot for one simple reason: you are here now, inside the members area, and you get to test-drive the entire system at absolutely no cost to you. Wealthy Affiliate is much more than just a program or a service. It's an online business community that was designed to give beginners step-by-step instructions on how to build an business that will generate a passive income. I attribute 100% of my success online to the training, support, and connections I've made while a member at Wealthy Affiliate. 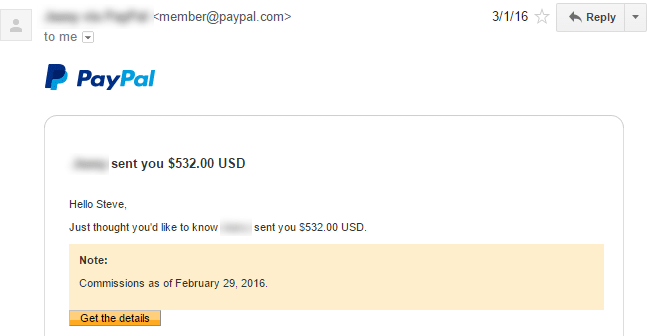 Everything I've shown you above is a direct result of my time spent at Wealthy Affiliate. Instead of just telling you about it, I wanted to give you a quick tour of just a few of the features offered. There are A LOT of features included with a membership at Wealthy Affiliate. Here are some of the most important I've found. The training was designed specifically for beginners. It's broken down into actionable step-by-step tasks to help you go from knowing nothing about online content creation to having your very own website up and running within a few minutes. Every lesson of every course is explained in full-detail. Each lesson comes with a discussion section as well. If you find yourself stuck at any point in the training, you can quickly get an answer that will help you move forward. I said above that building a website is as easy as filling out a form. Now, I want to now SHOW you just how easy it is. People write to me all the time saying they are interested in building a passive income online, but don't have the "technical know-how" to get up and running. It's literally as easy as clicking and pointing. All that you need to do is write content and that's no different than sending an email or typing out a Facebook status update. The fact that you're here now reading this page is proof enough that you're more than qualified to start building your own website. There are multiple support channels at Wealthy Affiliate. You can ask questions, create blog posts, participate in discussions, send private messages to other members, and join in on live webinars. Best of all, there is a live-chat feature that you can use to get instant support from knowledgeable members within seconds. It is active ALL hours of the day and the community is ALWAYS willing to help. If they don't have an answer for you, they'll be able to point you in the right direction. It's 24/7 Live support and it's by far, the best feature Wealthy Affiliate has to offer. Best of all, you get unlimited help from me personally. I stand 100% by my recommendations. I'm not going to give you a recommendation that I don't use myself. I am on Wealthy Affiliate every single day of my life helping members develop their ideas, create their websites, and get traffic to their content. You don’t have to part ways with a single penny to get access to this program. Wealthy Affiliate believes in their product/service so much that they are willing to give you access to a significant amount of it for NOTHING. The FREE "Starter membership" is great because it gets you in the door at absolutely no cost. You'll be able to access most of the training, meet the community, introduce yourself, and start building your business with the Starter membership. This is exactly why Wealthy Affiliate has earned my top recommendation since 2009. That's over EIGHT years as the number one program. By getting in the door for free with the Starter membership, you can see if Internet Marketing is right for you. Make a 100% educated decision without having to spend a dime! This really is the only program that I've found that lets you try out everything first. Over the next few days I will be following up with you over email and sending you various links around Wealthy Affiliate to help put you in the best possible position to start earning a passive income. Each email will have a few short assignments. Complete these and you will be well on your way to building a long-term sustainable business online that does the work for you. If you've made it this far, your first assignment of the day is done! If you can do me a quick favor, can you please drop me a comment (scroll down to comments area below) and let me know that you have arrived safely. Also, if you have any questions about ANYTHING at all in relation to WA or the online business world, drop it below. I want to hear from you and I will 100% get back to you (usually within minutes). You will notice a menu on the left hand side that looks like the one below. To start your training and to learn everything you need to know about Wealthy Affiliate, head there. To start your training, click the green "Get Started Here" button. This is the main training program offered by Wealthy Affiliate. It was written by one of the founders of Wealthy Affiliate and a 14 year Affiliate Marketing veteran, Kyle. It will provide you with step-by-step lessons that will take your ideas and turn them into income generating websites. By lesson 2, you will understand the entire process and have people you are networking with here. 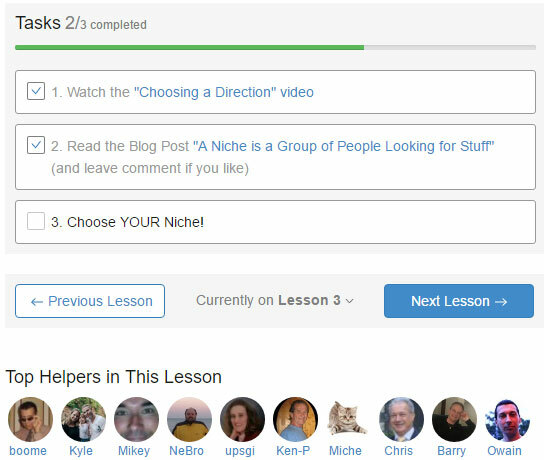 By lesson 4, you are going to have your very OWN niche website up and running. I only recommend products or services that have made me money. I've reviewed hundreds of programs for I've Tried That and can count on one hand the number of programs that have actually lived up to their claims. I joined Wealthy Affiliate in 2009 and it's held my #1 recommendation for over eight years now. I login every single day to help others, grow my own business, and learn something new. My success online is directly attributed to everything offered at Wealthy Affiliate. I own my own business, I get to travel the world, I spend every day with my wife, and I'm not a slave to the 40-hour work week. Here's Amanda and I in Hawaii if you need one last kick of motivation. Be sure to complete today's lessons and introduce yourself to me below. I'm Claudia. My blog is up since 2013. First it was a diary for my family to keep up with me when I was abroad. Next it became a platform for me to experiment on with marketing tricks etc. Now I'm ready to take it to the next level! Hi. I'm Mishael. I just started my blog in October, and I'm looking forward to learning about how I can make the most of it! I'm Valerie and am looking forward to seeing your process. My name is Leah and I have been blogging for about 9 months. I am a special ed coordinator and teacher and in the evenings I work on my parenting blog. I have created a lot of content but now would like to start monetizing my blog. Thanks for sharing all of this amazing information! I'm Cherryl, and I'm excited to learn all I can about affiliate marketing! Hi Steve, I made it! I'm excited to be here and I can't wait to get started. Hello, Steve...such a pleasure to meet you! I truly admire your success and selflessness ti impart so much good training info to the the WA community. I am a newbie at online marketing and did try it out a few years ago but had become grossly disappointed as my lack of success resulting poor training and customer service. I will truly call on you to assist me as I prod along with my training for helpful support. It's certainly good knowing you and wish you continued success in your business. 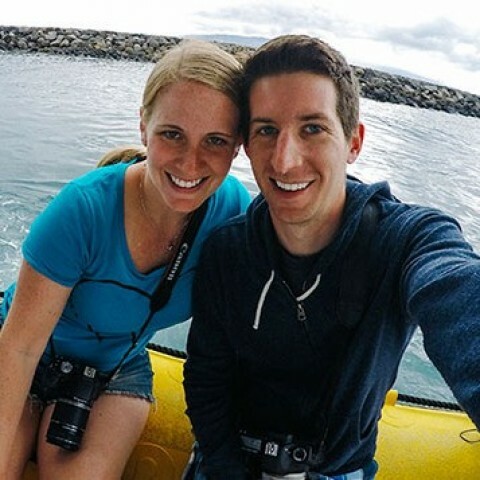 I have a travel blog with my partner which is supposed to aim at promoting travelling and all things travel-related. Lately I've been searching for a way to combine our story-telling with more profitable things as affiliate marketing. So when I read this I thought about starting to cover the travelling market. But I was wondering: Why should I choose signing up with you when I could just do this on my own? Buying a product and "review" it as you said you first did. Will this website give me more traffic, more attention? Wealthy Affiliate will show you exactly how to build the travel website you are working towards. They will give you the tools to set it up, the training to build it out, and the support you need when you have questions. This is a community of people aspiring to do exactly what you described above. It's much better to have a source of support to rely on when you need help. How long does it take to start making income from this? Of course i know it depends what you put into it. Approx. if i stick to your plan how long before i see a profit? Hi John! You are right you get out what you put into this and the training here is all about build a long-term, sustainable business online. Some people see money come in after a few weeks, others it takes a few months. There are so many variables that it is impossible to give an exact time frame. 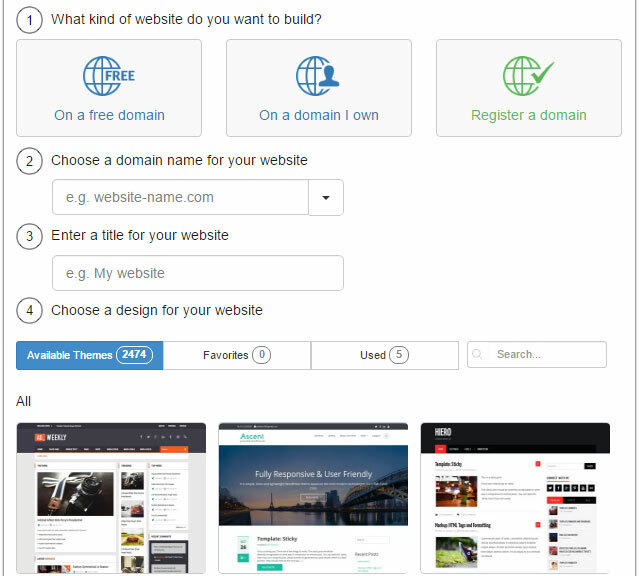 Know this though, the website you build today has the potential to pull in years of income. That's the beauty of all of this. You are building the foundation to a passive income. So, I'm really interested in Internet Marketing for my product..
And I really interested in selling this thing online, since I usually do things offline, and I think it's outdated. So I decided to try something new..
Hey Jip! Welcome! I think you'll like what you found here in WA. It'll definitely help you learn how to market yourself online. Absolutely, that's why I recommended it. I've made it... hope to be able to make this work for me too. Hey Sarah! You have all of the tools and support to succeed, but it's up to you now to follow through. Hi, I'm here and interested but with questions, I'm an engineer by trade, I've ran my own company that did well for a couple of years then went under, well, it isn't bankrupt but floating under the surface as I cut tie's(thank you BREXIT). I'm not a tecy but i'm not completely stupid around business either, so, I now manage a farm and its a full time job, the benefits are a nice place to live and low rent, the cons are low wages and long hours. So, I'm not blessed with masses of time, how much time is needed to achieve reasonable success? It stands to reason that the more time and effort you put in you more success your likely to get, and I know there are multiple variables that could make that question hard to answer but lets just say i only have a few hours a week and my computer skills are mediocre at best. Just trying to determine if its worth it for me, the concept seems good as I do have a little knowledge around sales and marketing, but, I have traded my suit in for a pair of wellies a while back now so I'm somewhat out of touch. You're absolutely right Ric that you get you what you put into this. A few hours a week probably isn't going to cut it as that's just not enough time to really sit down, focus, learn and implement. You would need to block of some uninterrupted time and really get to work in order to succeed. Hi Ric, Yes indeed you will need to put in some hours to get results. If you have the patience and persistence, doing it slowly may be your only avenue right now, but it will build up. As you probably have already figured out, this is a numbers "game" and all things will build up as you go along. I made it! but I'm unsure of your real intentions, you claim to just want to help people make money but charge to use the full resource, me being a relatively broke 19 year old I cannot afford the $50 a month as I need it for nececitys, I would love to say your intentions are good but when I put my name and email in I was under the impression this program would not cost me a cent, only after reading for awhile did I realize that I would need to conduct a payment, realizing this I was immediately disappointed as that usually means it is a scam. I'm not trying to be rude or insulting I would just like to be able to trust you. Wealthy Affiliate does offer a Premium level membership which unlocks more tools, training, and unlimited support, but the membership you're on now is free for life. You get to try out everything first and make an educated decision on whether or not this is a good fit for you. Hi I'm Gabrielle and I've made it! Hi there I've made it. Hope this makes a difference has been a dark ride. My name isCadette, hi everyone. Hey there Cadette! Glad to see you made it. If you have any questions or need help with anything, just let me know! I'm always around. Hello, Ashley here. I made it! Hey KMD, glad to see you made it in! Hoping this is finally the light at the end of a very dark tunnel! Things have been super tough! Anxious to get started!! 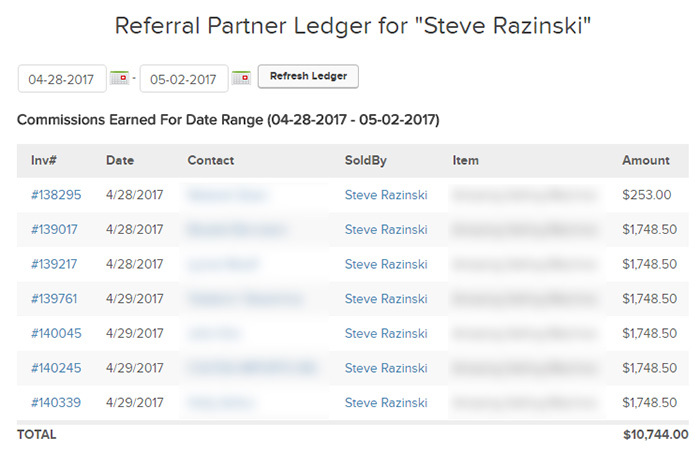 Thx in advance, Steve! ~Steph C.
Hey Steph! Good to have you here. Wealthy Affiliate has been my own personal saving grace. I wouldn't be where I am today without the training and people here :) You've taken the first step and that's always the hardest. Now start building! Welcome Anita! Glad to have you here! If there's anything I can do to help you get started, just shout! Welcome Starr! Hope you enjoy your time here. I'm available to answer any questions you may have. Sure is a breath of fresh air from the scams. Glad you can see that Bryan! Wealthy Affiliate is truly different and that's why I am happy to recommend them. Welcome aboard! Hello. It's nice to have an opportunity to comment this early in a "relationship"
That's why I recommend WA :) No commitment and you get to give everything a shot up front. Hi Steve, all the information so far seems to be great look forward to working with you. Very nice to meet you Windell! Wealthy Affiliate has consistently blown me away with what they give away with the free membership. That's the reason why I've been recommending them all these years. Hi Steve i m from africa.i m a newbie.really need your help. 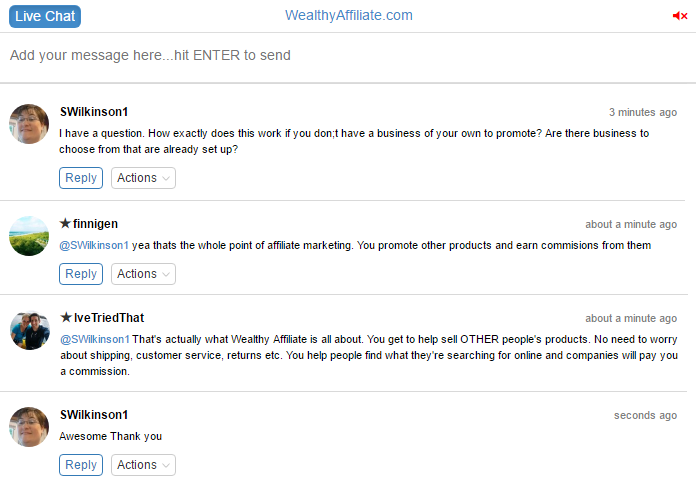 Wealthy Affiliate is absolutely the real deal. I am living proof :) Feel free to browse any of my older blog posts here over on the right. You can see some of the things I've been able to accomplish since joining. You're here now for free aren't you? :) It's free to start and you can follow the training and start building your websites right away. A lot to digest, but I'm here to try too. There is a lot, but there is also a lot of help and support. Every question you have has an answer. It's up to you to ask for help though! My name is Crysta and this all seems way too good to be true. I'm already a member and haven't been asked to pay even one penny. I've been an unemployed, stay-at-home mom for most of my 1 1/2-year-old's young life. I am now itching to start earning my own income but I have no desire to leave my baby 8 hours per day for most of the week. Everything you've said sounds blissful and more than perfect for what I have been searching for and I have been searching for months now. Constantly finding scam after scam. My only skepticism now is that I'm wondering if I, myself, am capable and competent enough to make this great money you all are making. Is it really all as easy and simple as you say? I'm GG. I've been a member for 1 month here. I am giving you 1 of many answers you may receive. I'm answering to earn ambassador credits and because your question has a simple answer. I have run into quite a few scams too before finding my way to WA. It wasn't long before I decided to go premium. It's not expensive and the training here is just as, if not more, comprehensive as any I've seen. Although it is indeed simple if you go step by step, I wouldn't say it's easy. Some of this stuff, to me anyway, is pretty tech heavy. However, your questions will get answered and you can learn everything you need to know to build a profitable marketing biz. It may take some time, as it's not a get rich quick scheme. If I can do it after shunning technology for decades(still have a flip phone-lol), I'd bet anyone willing to put in the time, effort and perseverance can do it. Best of luck, whatever you decide! Amanda and I actually just had our first in June: Our First Born Has Arrived - Say Hello to Vincent Cole! and wanting to be with him all hours of the day is what drives me forward to keep building my business. You are certainly more than capable and competent enough to do the same. The tools, training, and support here will get you where you want to be, but it's up to you to take action and work through the material. I am looking forward to this; thank you. Sure thing Curt! Very nice to meet you! Is it possible to do this job from Europe, I am from Bosnia? Absolutely Narcis! We have members from all over the globe here. I joined about a month ago and have been working on building my website and adding content. I am new to affiliate marketing and writing content. I want to have the freedom to leave corporate America and have more time with my family. I look forward to working with you. True sucess stories are very motivational. Have a wonderful evening. Awesome Sherry! Glad to hear you are enjoying your time here so far and working on building your business :) I share my story to help show others the way and inspire them to follow in my footsteps.